Continued growth is easier with the help of the latest technologies. That’s why feed manufacturer De Heus counted on SCE for the expansion of their site in Bestovice. 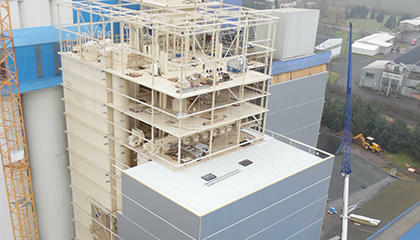 In between two buildings, a new building was built with no less than four silo types and a steel structure for the machines. 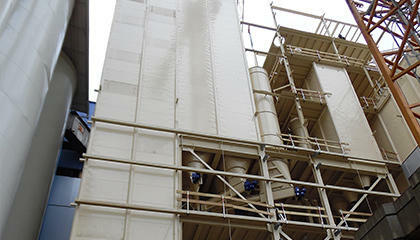 SCE integrated silos for truck loading, flour silos, mineral and dosing silos in the building. All this is incorporated in a steel structure on which the machines were placed. 75 cells with a total capacity of 3,477m³ were produced in our workshop in two months’ time. They were installed at 18 weeks. We combine precision with speed.